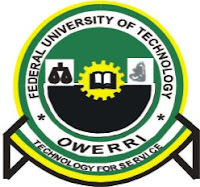 Federal University of Technology, Owerri, FUTO Pre-degree form for 2016/2017 admission application is out. Interested persons wish to apply for the 2016/17 FUTO Pre-degree programme can now do so. The management of Federal University of Technology, Owerri is inviting applications from interested and equally qualified candidates for the 2016/2017 academic session. Below are the requirements and information on how to apply for the pre-degree programme. Must possess at least five O’level credit in English Language, Mathematics, Physics, Chemistry and Biology/Agricultural Science. Must have registered or intend to registered for the 2017 UTME. The cost of FUTO pre-degree application form is ₦10,000 ( Ten Thousand Naira only).